SUMMER 2011 - ENJOYING THE SHADE. 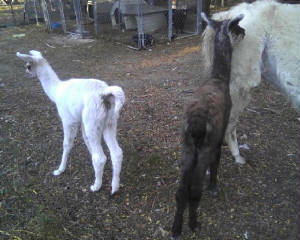 We have a few Llamas. They guard the Goats and Sheep. We clip them every May. 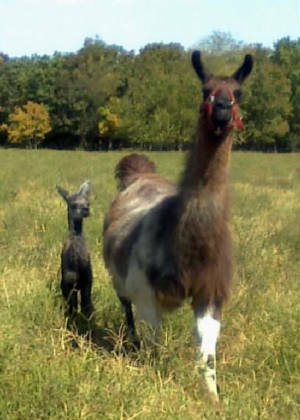 We also have some Cria's for sale. 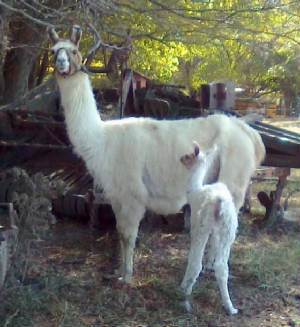 Prices start at $100 & up, depending on the Cria. To learn more about them please go to the bottom of this page. Thanks!!! Molly is an 2004 model. 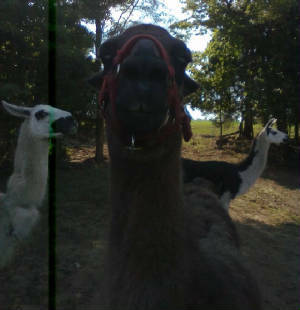 She is halter broke and very gentle. Melisa is an 2003 model. She is very friendly and broke to lead. Melissa and her 2011 baby girl- Snowball. Snowball has partial blue eyes. Amy is an 2005 model. 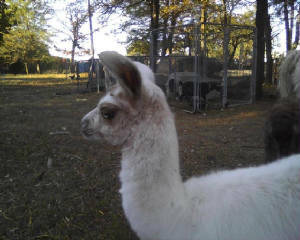 She is registered, halter broke and very gentle. 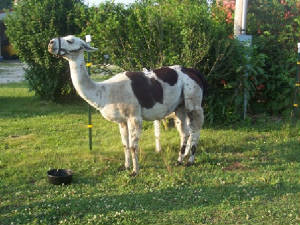 Patches is an 2006 model. 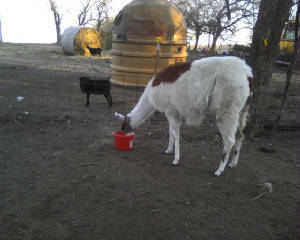 She is registered, halter broke and very friendly. Patches and her 2011 Baby Boy- carhart. 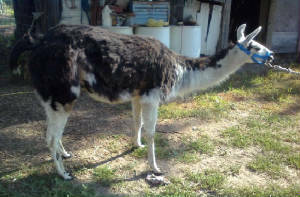 Spirit is a 2007 model. She is a little shy, but coming around. Survivor is an 2006 model. When we got her she had a neck injury. Examing it we noticed twine was still around it so we had to cut it out. Now she is healing nicely. Trader is a 2009 model. 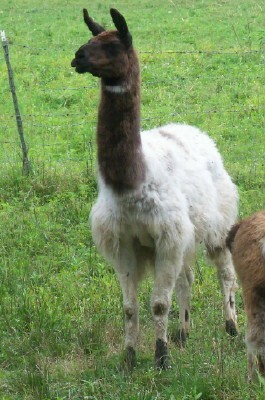 He is our male, he's halter broke and a gentlemen. 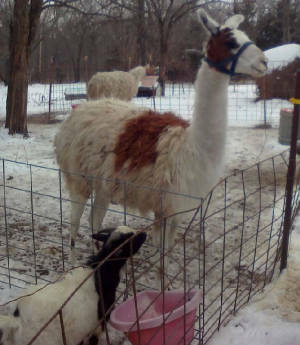 Llamas are members of the camel (camelid) family. 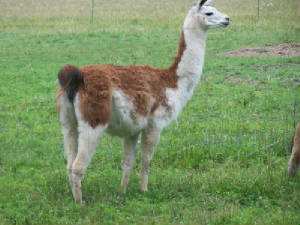 The camelids originated on the central plains of North America about 40 million years ago. 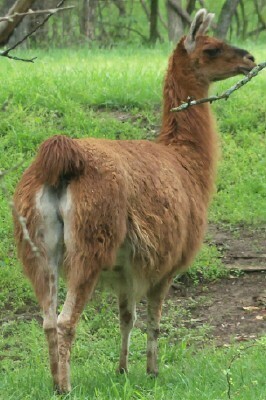 From there, about three million years ago, llama-like animals dispersed to South America. 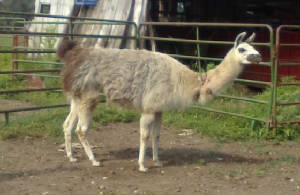 By the end of the last ice age (10,000-12,000 years ago) the camelids were extinct in North America. 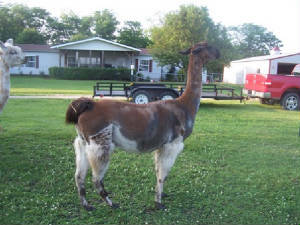 Llamas were domesticated from guanacos in the Andean highlands of Peru 4,000-5,000 years ago, and are among the oldest domestic animals in the world. Primarily a beast of burden, they also provide native herdsmen with meat, wool for clothing, hide for shelter, manure pellets for fuel, and offerings to their Gods. 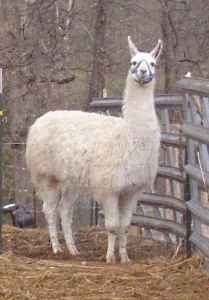 Today there are an estimated 7 million llamas and alpacas (in approximately equal numbers) in South America, and only a little over 100,000 llamas in the United States and Canada. are rare. Average gestation is 350 days. within 90 minutes. 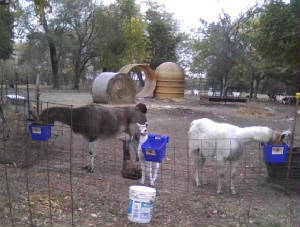 They are usually weaned at 4-6 months. can be bred at any time of the year. between short, medium, and heavy wool. wool production, showing, 4-H programs, and as relaxing therapy for humans. in and out of a vehicle, pulling a cart, and carrying a pack. These highly social animals need the companionship of their species. common sense make them easy for anyone, even children, to handle. 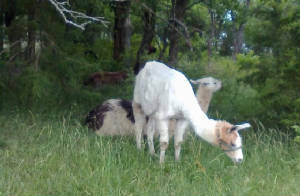 to their efficient digestive systems, they can be kept on a variety of pastures and hay. 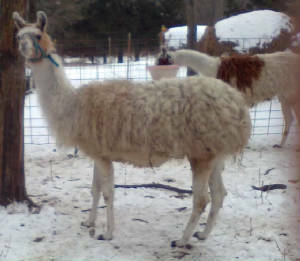 habit, give the llama an impact on the environment equal to a large deer. humming sounds. 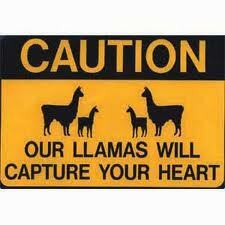 They also have a shrill alarm call alerting to danger. Can You Use Their Wool? develop an intolerance or fear of humans, and will spit if he feels threatened.